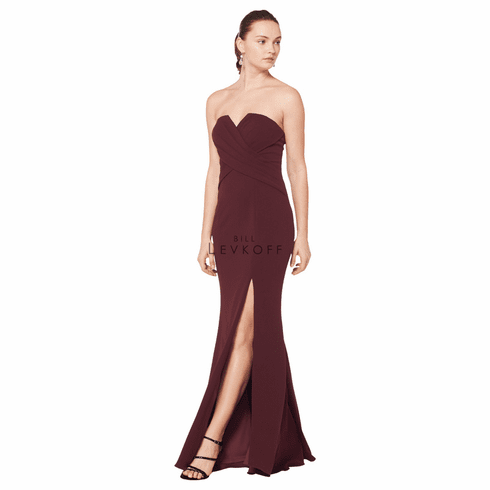 Description: Stretch Crepe strapless gown with a cut out front. Criss-cross pleating adorns the bodice. Off-center front slit.